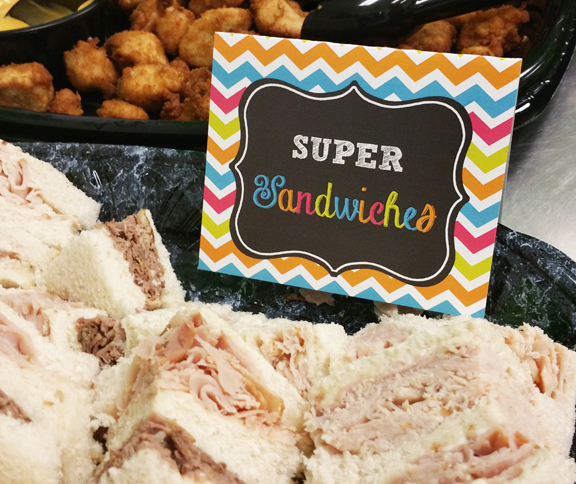 This entry was posted on July 24, 2018 by thatpartychick. 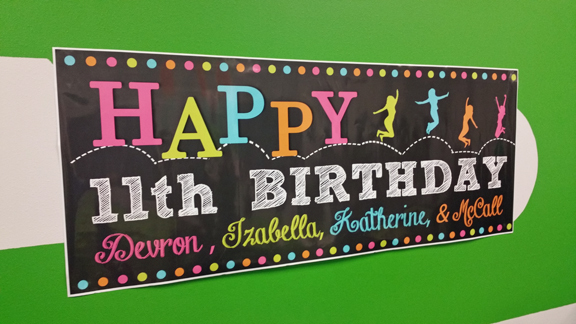 Sector 6 Trampoline Park was the setting for a fabulous 11th birthday celebration for four party girls! 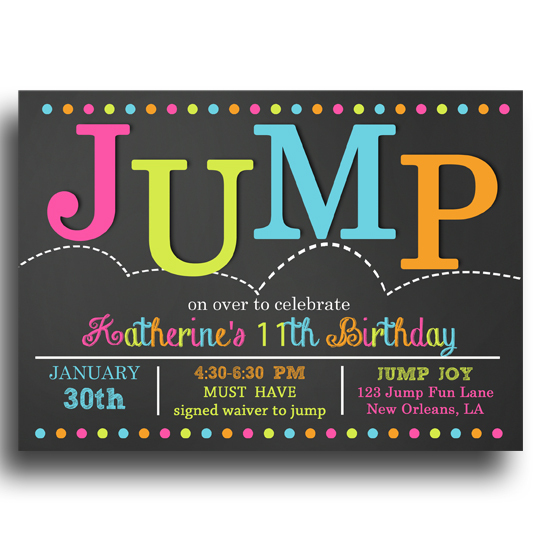 What better way to announce the party than with an adorable JUMP invitation! 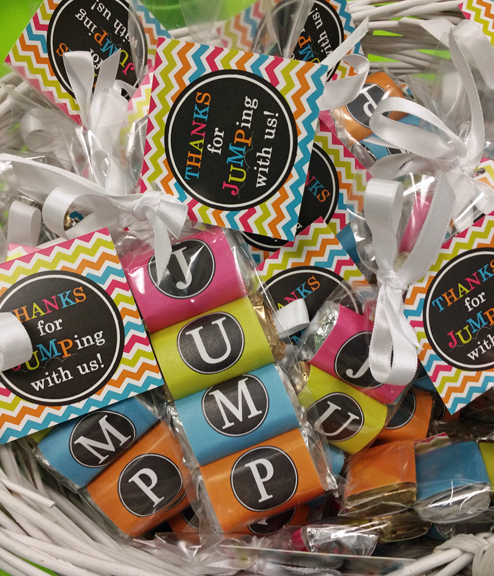 Colorful lime green, aqua blue, hot pink, and orange along with chevron styling characterized the party design. With the beat of the music in their ears the girls jumped and enjoyed the other adventure sports activities before enjoying the birthday festivities! 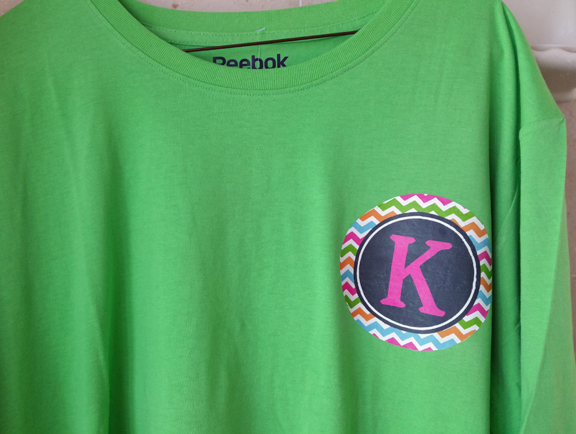 It was easy to identify the birthday girls who wore green t-shirts with initial iron-ons! A huge Happy Birthday banner hung strategically in the party room! 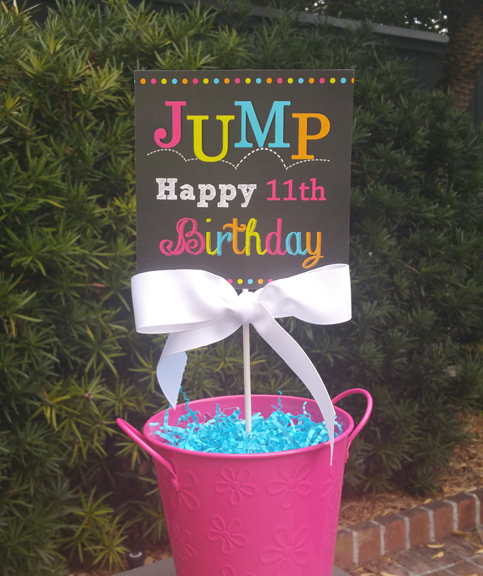 Party tables featured “Jump” centerpiece toppers mounted in colorful buckets filled with crinkle paper. 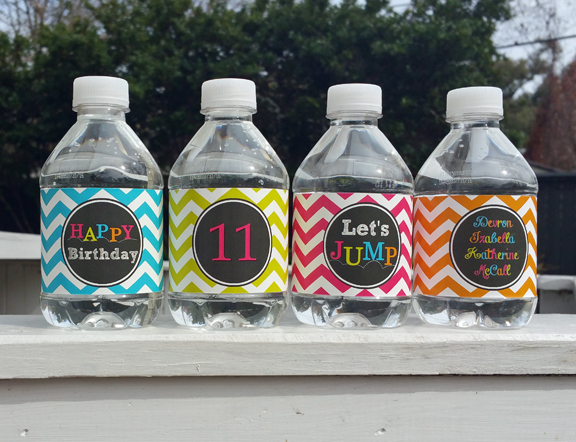 Guests quenched their thirst with a variety of beverages including personalized water bottles with bright chevron patterns. 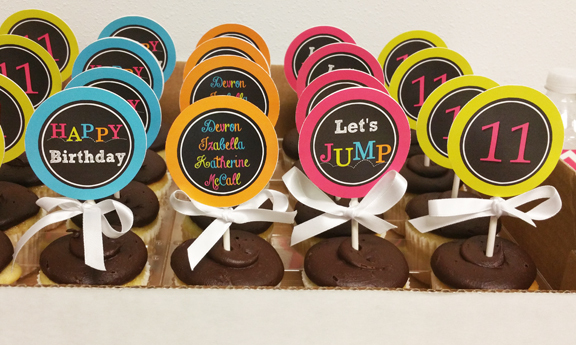 Colorful cupcake toppers were designed in keeping with the party theme!